People were skeptical last summer when real estate tycoon and sometimes-television personality Donald Trump announced he would run for president. The established wisdom was he wouldn’t have a chance with voters, and that his candidacy might be no more than a political stunt. Now, with several primaries behind him and a50-plus delegate lead over both Ted Cruz and Marco Rubio, it is clear that the time for skepticism is over: We could be looking at a Trump presidency. At least some of his followers have flocked to Trump because of his ultraconservative stance on immigration. His promise to build a wall between the United States and Mexico has been flanked with outrageous statements about immigrants, among them the assertion that Mexican immigrants are rapists and drug dealers, and Muslims should not be allowed into the country. It’s impossible to say how a Trump win would affect American immigration, but if we close our doors it could do serious and long-lasting damage to America’s intellectual and creative culture. 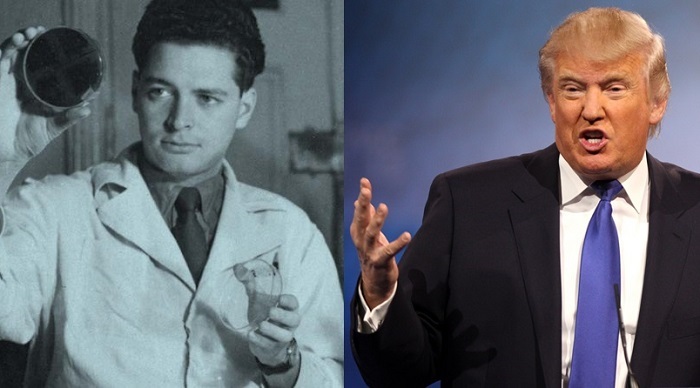 Some of the nation’s greatest scientists and artists have been immigrants: a fact that is very easy to lose sight of in the hysteria and bluster. Ensuring that the contributions of immigrants are not forgotten is one of the primary goals of the Vilcek Foundation, a non-profit organization based in New York City. Each year, the foundation awards several prizes recognizing outstanding contributions in the arts and sciences made by foreign-born, permanent residents of the United States. Novelists Téa Olbreht (The Tiger’s Wife) and Dinaw Mengestu (The Beautiful Things That Heaven Bears) are both recipients of Vilcek Foundation prizes, as are musician Yo-Yo Ma, The “Bird Cage” director Mike Nichols, cancer researcher Titia de Lange, and geneticist and science educator Pardis Sabeti. The foundation is the creation of virologist Jan Vilcek, whose work led to the creation of Remicade, the first in a new class of medication found to be effective in the treatment of Crohn’s disease, certain kinds of arthritis, and other autoimmune disorders. The drug was approved in 1998, and by 2013, it was the second-highest selling drug in the world.